When you're too busy to stuff a whole turkey, stuffing chicken breasts is a great second option. It's easy to do and takes little effort (but looks super fancy.) If you want a more low-key meal on Turkey Day, give these stuffed chicken breasts a try. The first thing I did was start the stuffing. 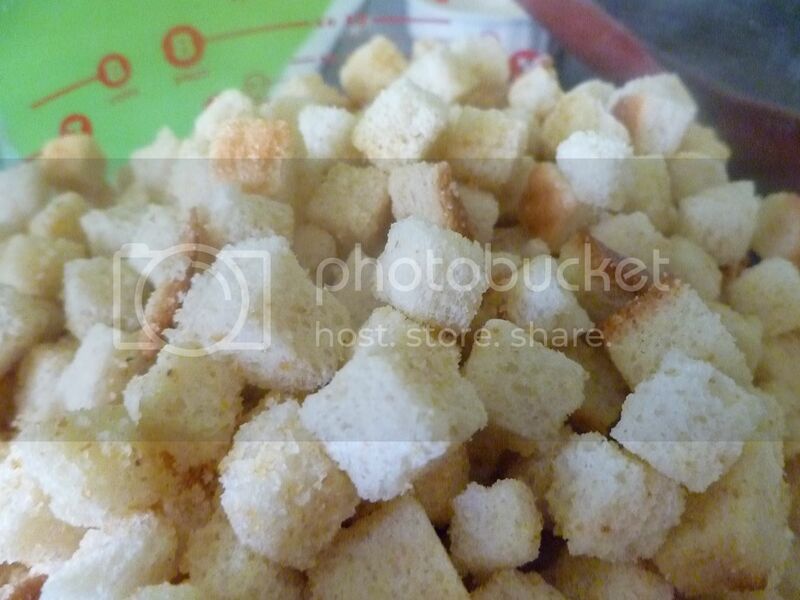 I used a mix of bread cubes that included both white bread and cornbread. For crunchiness, I chopped and added some pecans. 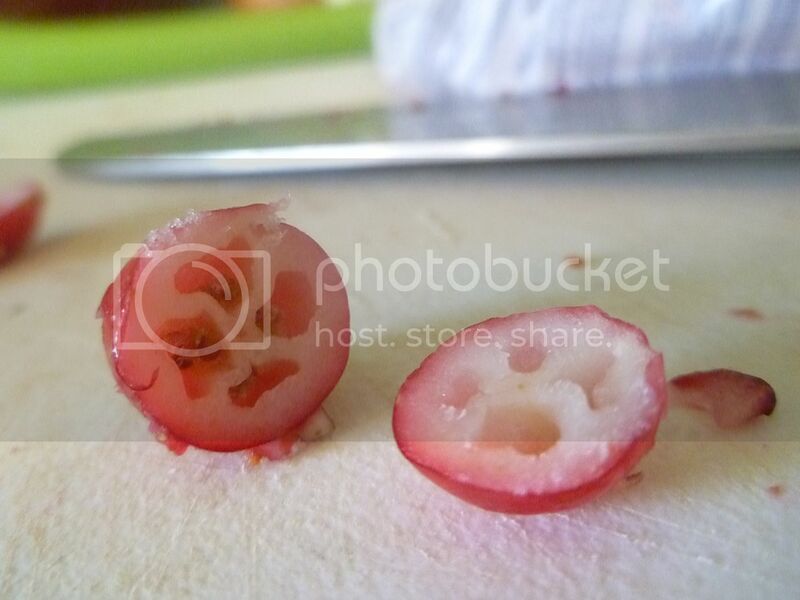 And for tartness and flavor, I did the same with some cranberries. This is what they look like on the inside--kind of neat, don't you think? 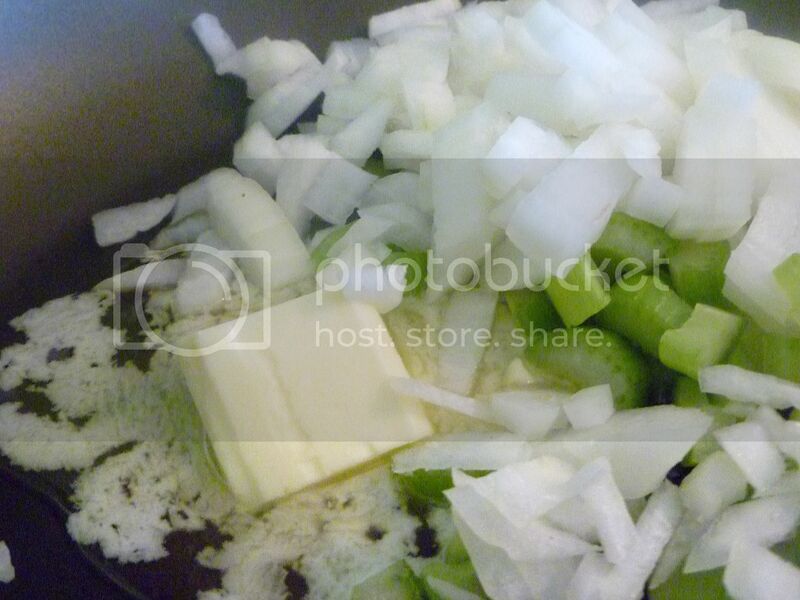 Now, in a pan, saute some onions and celery with some butter. 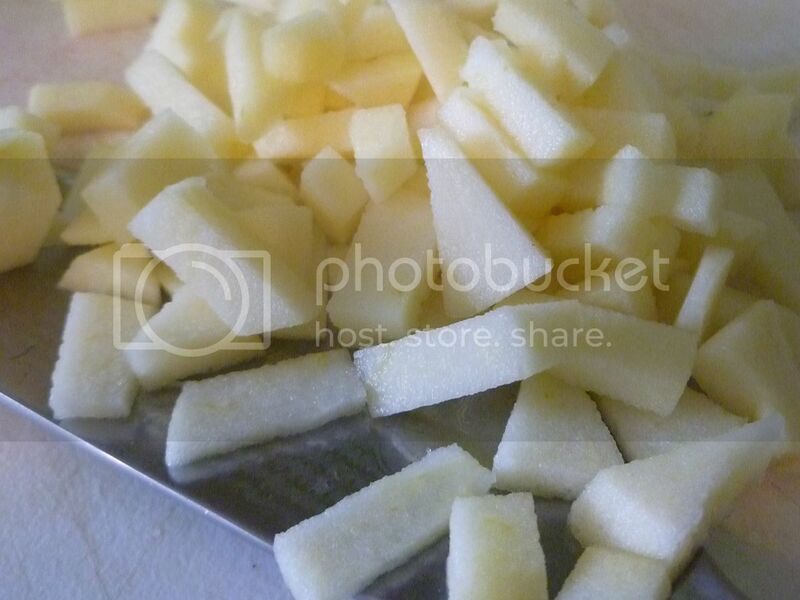 While the onion and celery are sauteing, you can peel an apple. 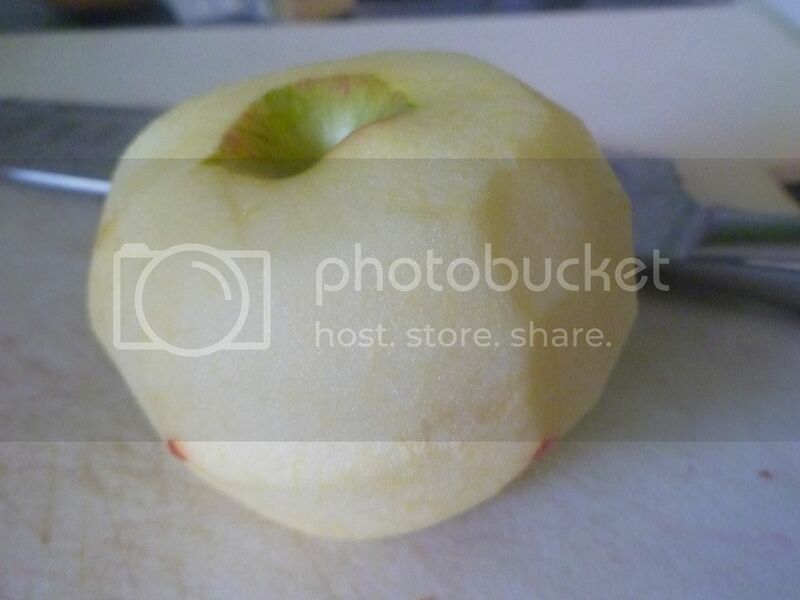 I had a lot of Honeycrisp apples around, so I used one of them. For more tartness, a Granny Smith can be used. Core the apple and dice into pieces. 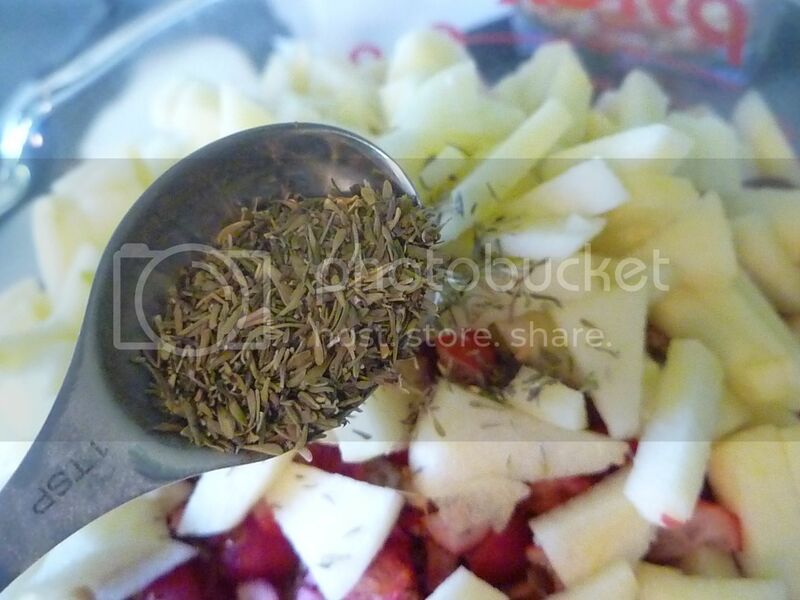 Add the apples to the bread cubes and then spice things up with some dried thyme. Dried sage is good, too. Sage and apples are good friends. And, as always, never forget to salt and pepper. 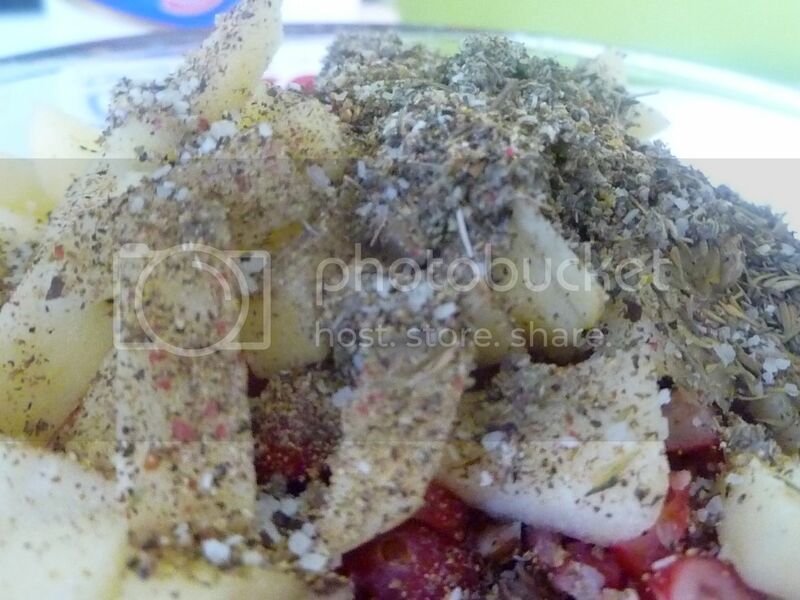 When the celery and onions are softened, you can add them to the bowl too. Be sure to get all the little buttery bits! 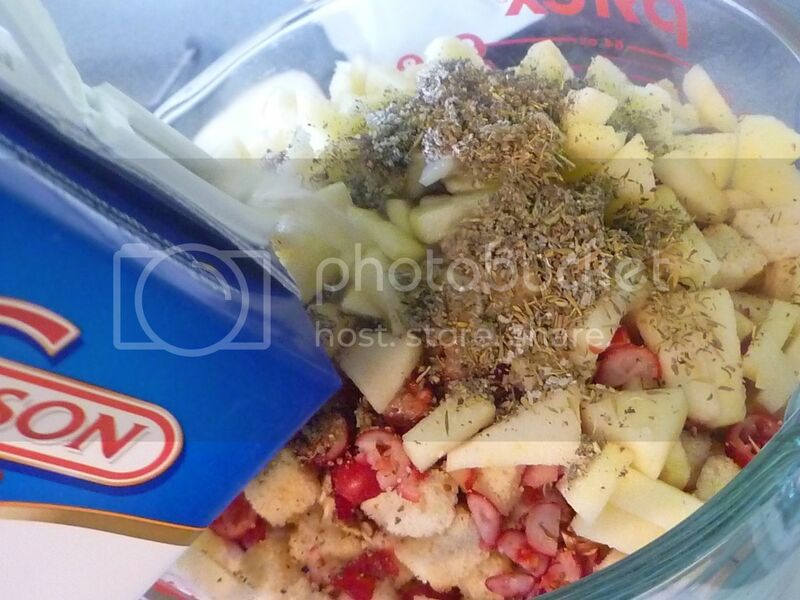 Then moisten the dressing with a box of chicken broth. You'll need the whole box. 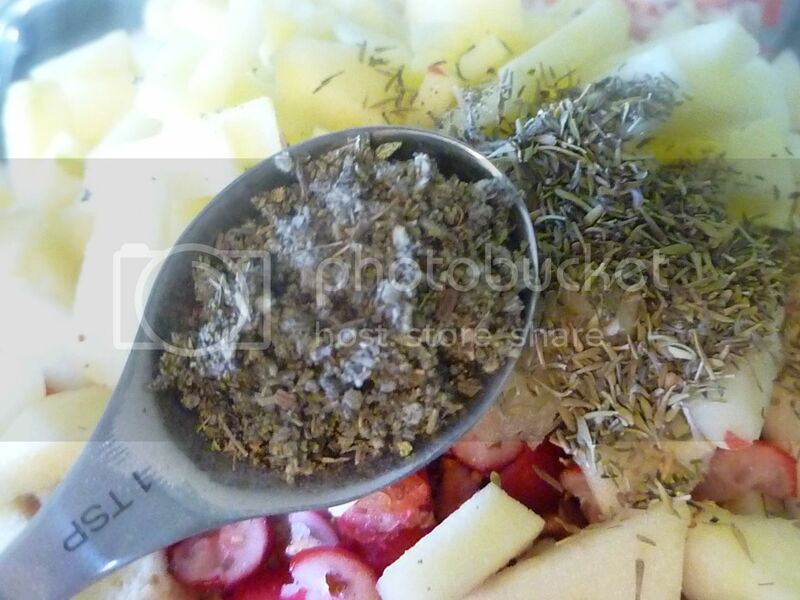 Mix until all the bread is moist and the herbs are evenly incorporated. Now you can move on to the chicken. 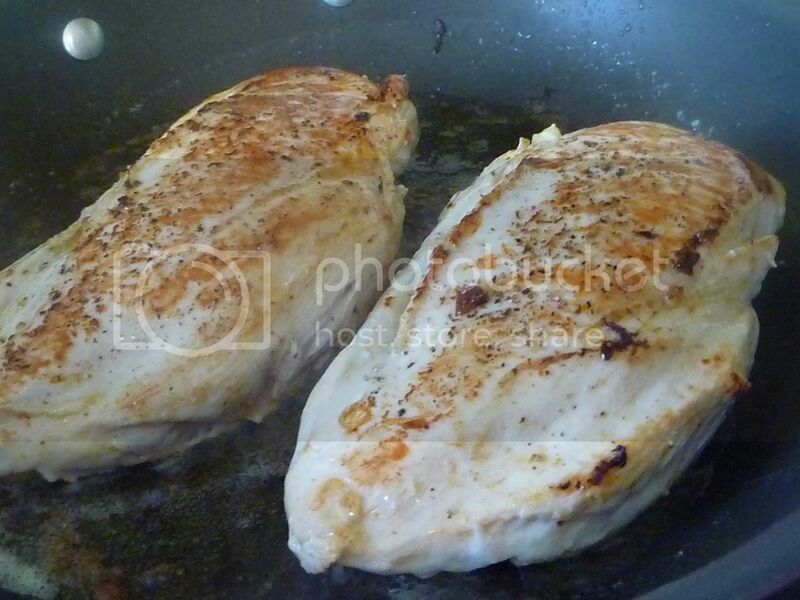 Lay a chicken breast flat on your cutting board, and, using a sharp knife, carefully cut a pocket into the breast. Stuff the pocket with the dressing. Don't use too much, or it will just spill out and make a mess. If you can still seal the chicken, you've got the right amount. Press the seams of the pocket together. And season the outsides of the breast with salt and pepper. 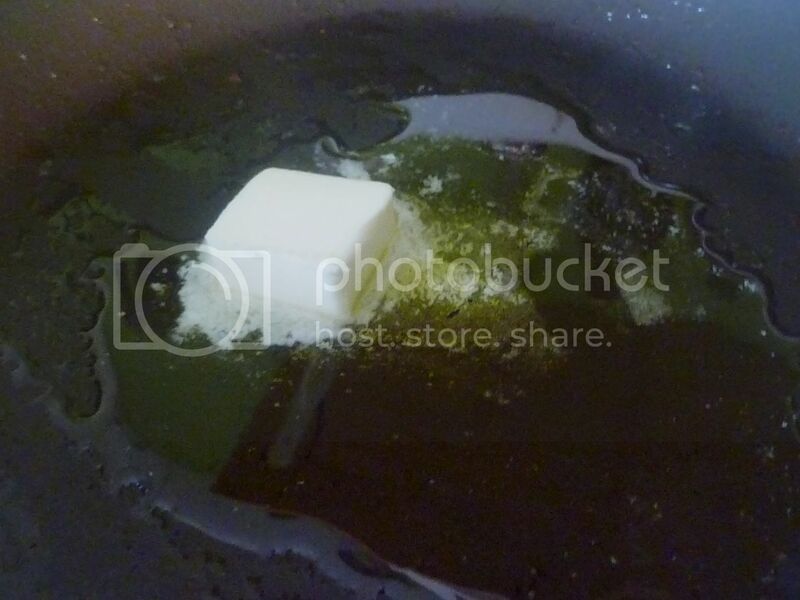 Melt some butter and olive oil in the same pan you sauteed the onions and celery in. Use medium heat. Once the butter is melted and the pan is hot, carefully lay the chicken in the hot pan, seam-side down. Let cook for 4-5 minutes or until the chicken is golden brown. 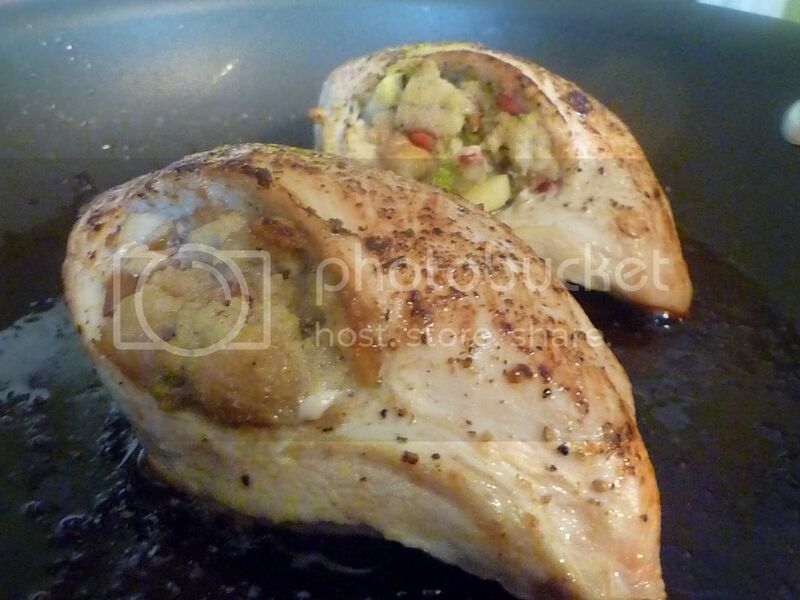 Carefully flip the breasts over and cook the other side for another 4-5 minutes. Pop the pan into a 350F oven (you did use an oven-safe pan, right?) 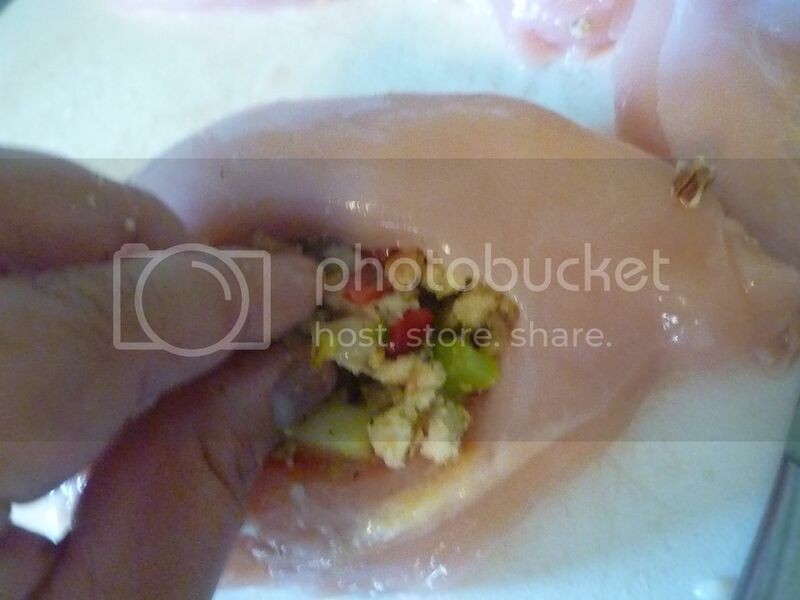 for 12-15 minutes, or until the chicken is cooked completely through. 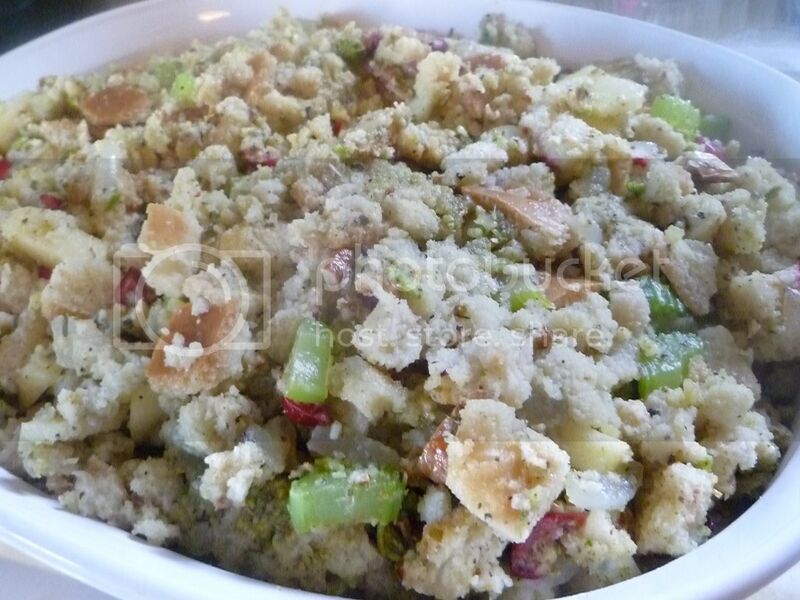 Put the rest of the stuffing in a baking dish and let that cook through, too. 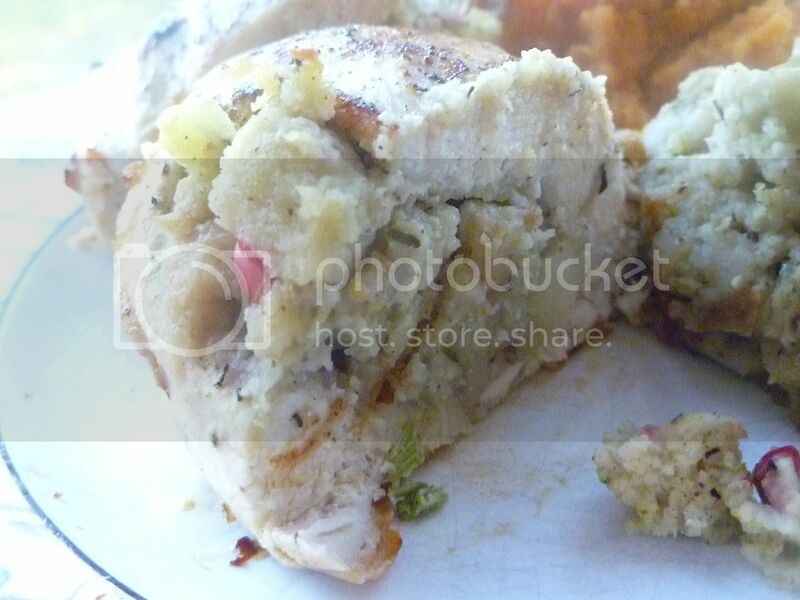 The stuffing will plump up inside the chicken breasts, making a pretty picture. If you feel so motivated, you could make a simple gravy with the pan drippings--just a bit of flour (and a little more butter, if the pan looks dry), and some chicken broth, and you've made yourself a mini Thanksgiving in a pan. Way easier than roasting a whole turkey, huh? 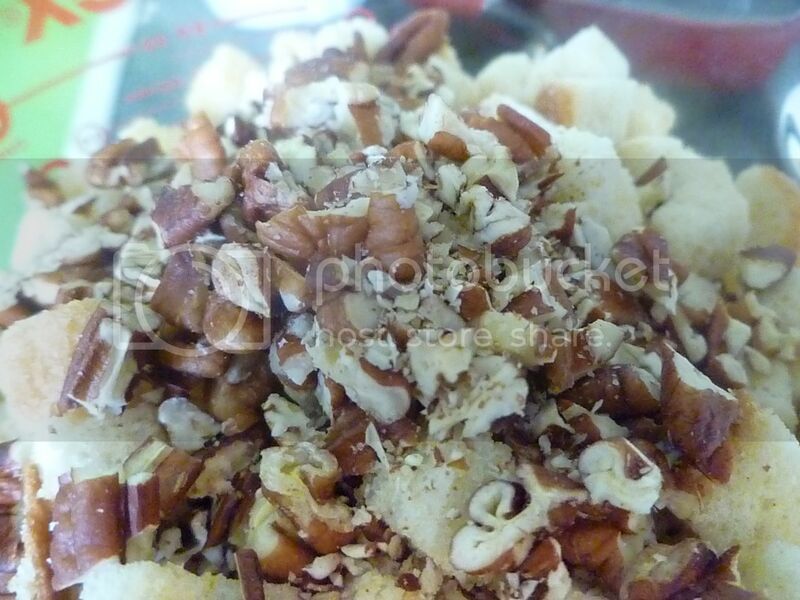 In a large bowl, combine bread cubes, pecans, cranberries, and apple. In a large, oven-safe pan, saute onions and celery in butter until softened. Add to bread cubes. Add thyme, sage, salt, and pepper. Add chicken broth, stirring until all bread cubes are moistened and herbs are evenly distributed. 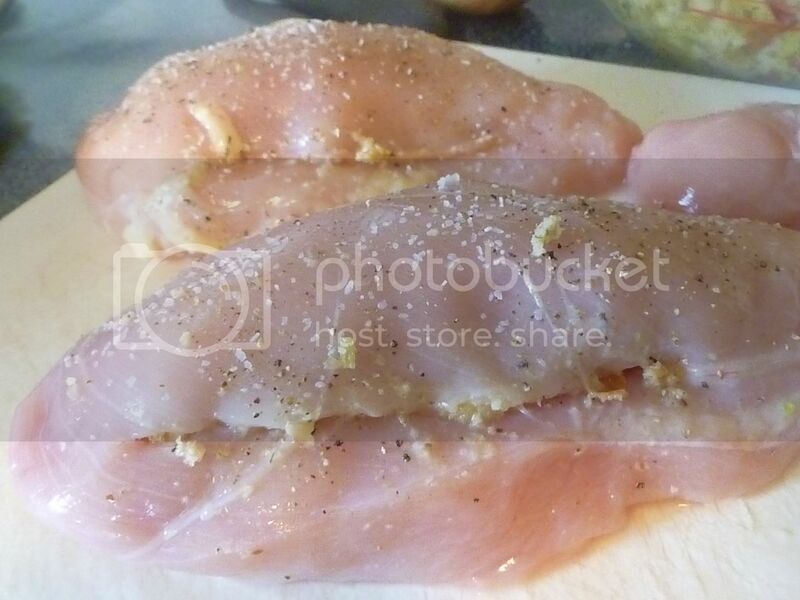 On a cutting board, carefully cut a pocket into the chicken breasts. 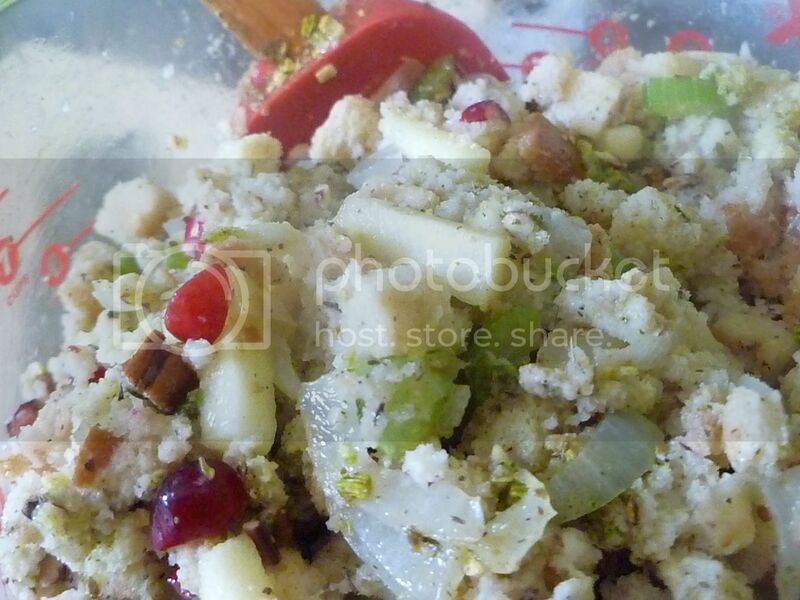 Stuff with bread mixture. Salt and pepper the outside of the chicken. Using the same pan as before, melt butter and olive oil over medium heat. 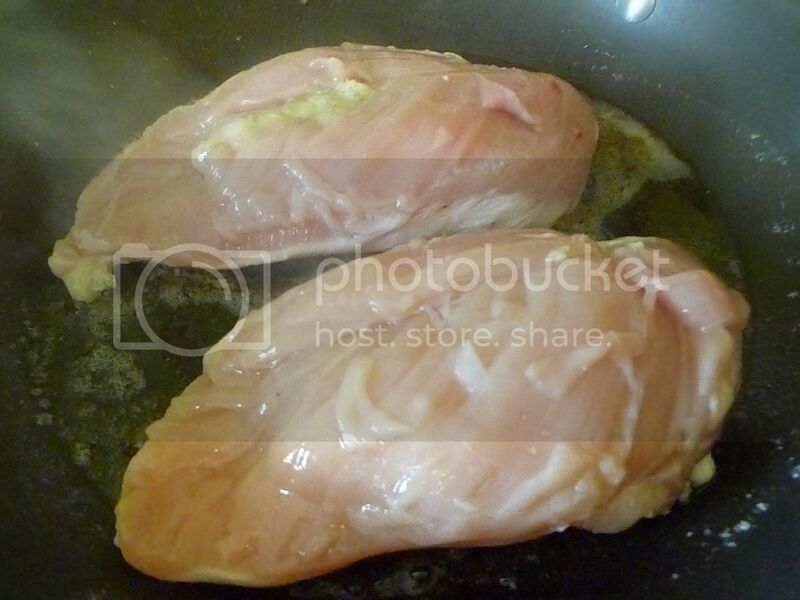 Place chicken breasts in pan, seam-side down. Cook for 4-5 minutes, or until golden brown. Flip chicken over; repeat. Place pan in a 350F oven for 12-15 minutes or until chicken is cooked through. Serve immediately. This dish sounds unbelievably good! 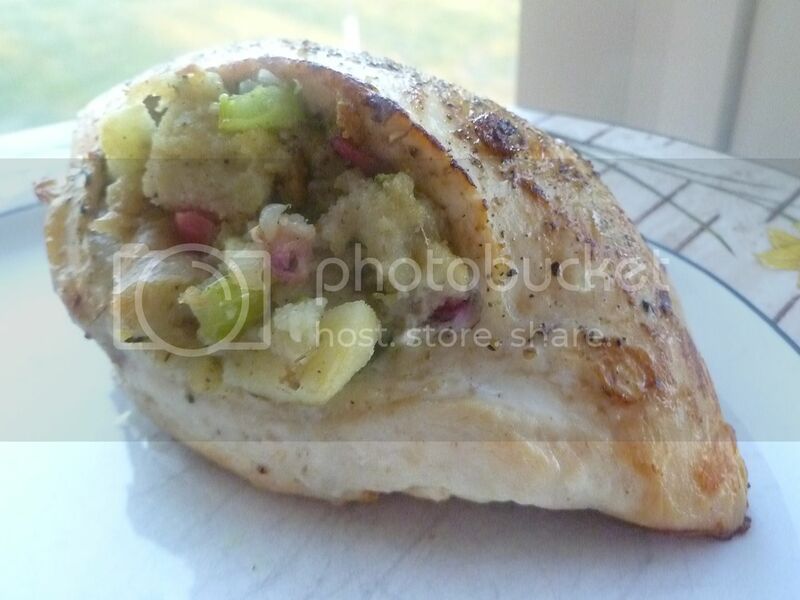 I like stuffed chicken breast recipes to try. I am definitely trying this soon!